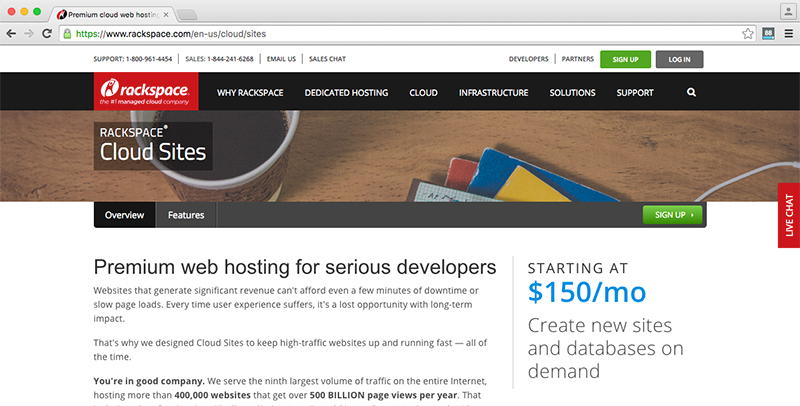 We will not support WordPress sites hosted on Rackspace Cloud Sites. Yes it is that bad in my opinion. If a client is spending that much for hosting they should be expecting quality hosting and therefore getting only the best hosting solution. Recently I developed a new high traffic wordpress site that was to replace an existing one seeing 100k visitors a month. It was developed on Webfactional hosting while the live site resided somewhere else. The client chose Rackspace Cloud sites and I had not used their Cloud Sites before with WordPress (though I have been please with Rackspace Dedicatedhosting and Magento) so I said why not. Bad idea. Right out of the box Cloud sites is terrible slow. I noticed this when I did a fresh install of WordPress and the Admin panel was slow to load. A fresh instal with NO plugins. I might even go so far as to say it was slower than what I would expect from a cheep hosting company like Godaddy or Bluehost. Sadly I did not screen shot the metrics but wish I would have to give some data on that. I migrated the finished development site for this client to Cloud Sites to launch and go live. Immediate we noticed the site was rather slow. On Webfactional we were seeing load times WITHOUT any performance plugins of around 1-3 seconds. This exact site on Cloud Sites was averaging 15-18 second load times. Completely unacceptable. After discussing with tech support they advised we instal a caching plugin (more on their tech support later). Caching plugins enabled and configured we saw a meager improvement – sometimes 3-5 seconds and other times 12-15 seconds. Overall an entirely inconsistent and unpredictable load time range. For comparison I can stick a site on WP Engine hosting with no performance enhancements and get 1-2 second load times. Tech support even admitted to me that their hosting is not designed for speed it is designed for uptime. Though I haven’t been counting (and I should have been) I saw this particular site in discussion down more than with any other host. Including the cheep ones – but maybe not the free hosting companies. Now, I have no data here, just what I have seen but it is not good. I found Rack Space’s Cloud Sites tech support pretty disappointing. They were definitely not eager to help nor even seemed like they cared. In addition I felt they didn’t even know what they were talking about. I got the same canned answer to a problem more than once. At one point I had to get an account tech manager of some kind on the phone and they where actually helpful and knowledgeable – but that is a pain to have to call in vs chat online. Cloud Sites hosting caches pretty hard. While this is a great thing there is no way to clear it! That means if a change is made to the site you have to wait a few minutes before their caches are cleared automatically. Other hosting service companies usually provide a tool to clear your server cache if this is the case. Not with Rackspace Cloud Sites. I’ll admit I have no data here. Someday I should take the time to get it together but after working with hundreds of hosting companies I know when something is sub par. The fact that you can Google and find posts are articles about Cloud Sites hosting and WordPress being slow is also telling. I’m open to someone convincing me that Cloud Sites and WordPress is a good combination but I doubt that will happen. I have a queue of WordPress sites to migrate away from Rackspace and to better hosting providers like WP Engine. So far, the sites have all seen a vast improvement in load times hosted at WP Engine. 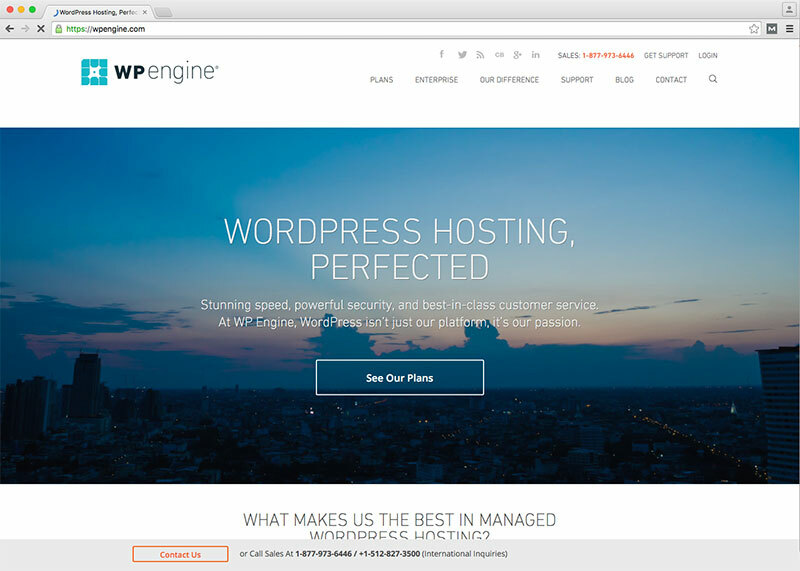 You also might want to check out our Best WordPress Hosting Providers article.